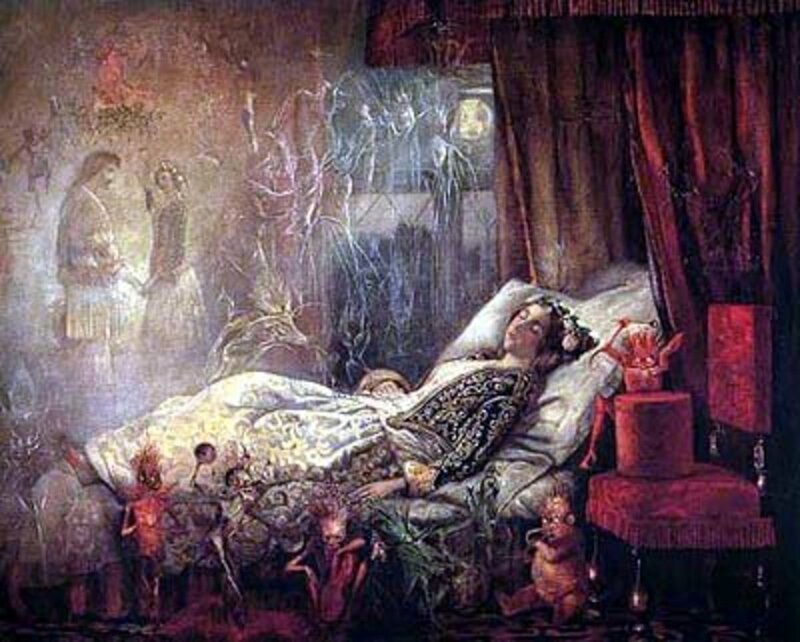 Dreams and their meanings have fascinated humans since ancient times. 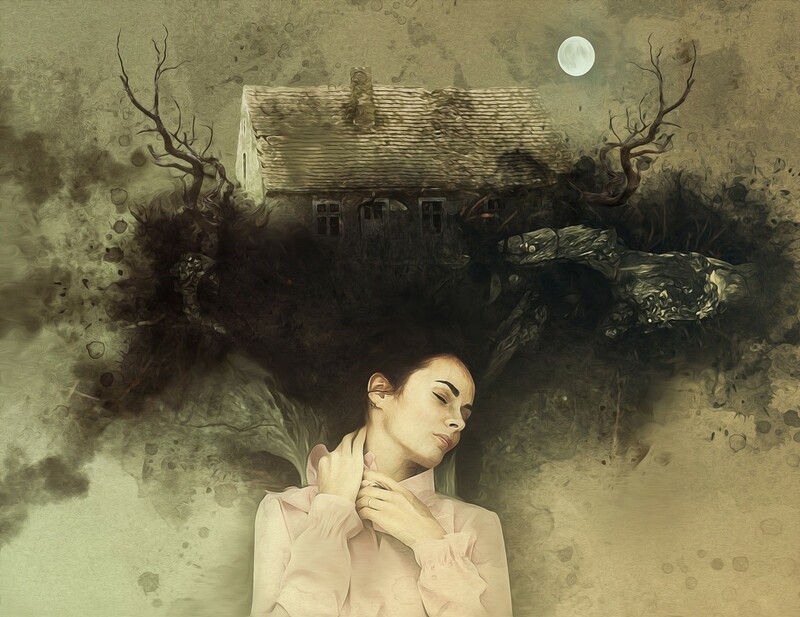 The land of the dreamer is very often out of that person's control and because of that, what goes on in the mind while he or she sleeps may tell us how someone feels, who they love and what they fear. Because our unconscious often speaks to us in symbols, it's important to analyze detailed or troubling dreams to figure out exactly what they mean. Since people are unique and their experiences are unique, different symbols may mean different things. Here are some common symbols and possible explanations for their meanings. Some people experience animals in their dreams. These animals may be acting like regular animals or they may take on the characteristics of humans. 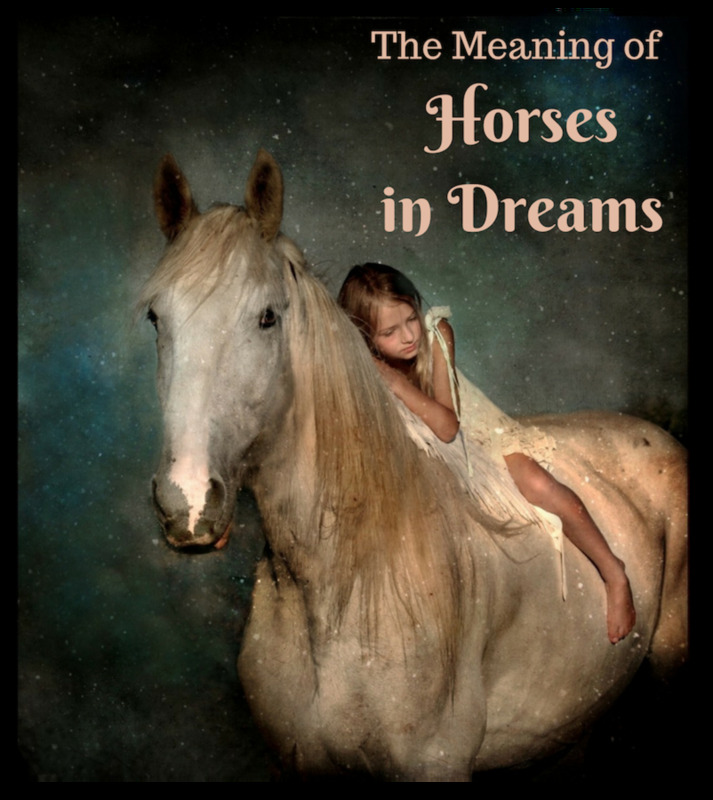 Based on the animal, the situation, and what's going on in your life, you may be able to figure out what your dreams and your unconscious are trying to tell you. 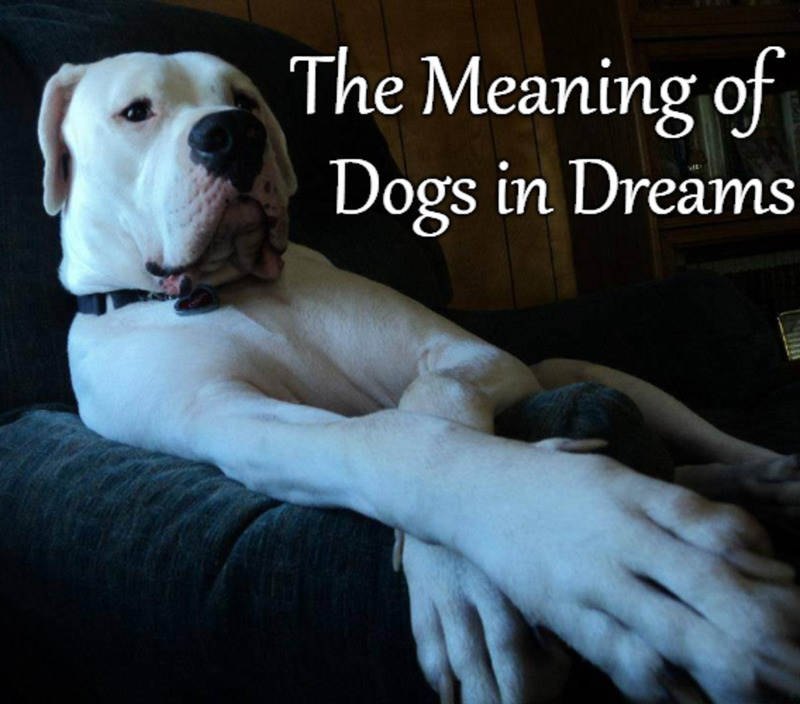 According to a Huffington Post article by Tracie Handley, animals in dreams are often primal and reach towards the spiritual side of our consciousness. If you are facing difficult times, animals may start appearing in your dreams. As the dreamer, you should write down what you dreamed about and note how the animal was acting and what it was doing. Does the animal symbolize you? Someone you know? Is it a metaphor for the problems you are facing right now? Is there something in your life that is threatening your independence or your loved ones? Are you worried about a public presentation, a project, school work or a job? What do you feel helpless to change in your own life? Are you having relationship troubles? Problems with a friend or significant other? Do you finally feel at peace with your life, life choices or the people that you are with? Transitions, peace or seeking peace. Water is often a symbol of transition, so decide if you or someone you know is symbolized by the animal in the water? Animals in dreams can also be sick or dead. If they are, it likely symbolizes the opposite of whatever the predominant trait of the animal is. For example, if the spider in your dream is dead or you kill it, it may symbolize you finally getting out of a situation where you felt trapped or vulnerable. An animal out of its natural habitat may be experiencing distress and this may symbolize the distress that you yourself are feeling as you combat life problems and issues. Water always means transition and change. 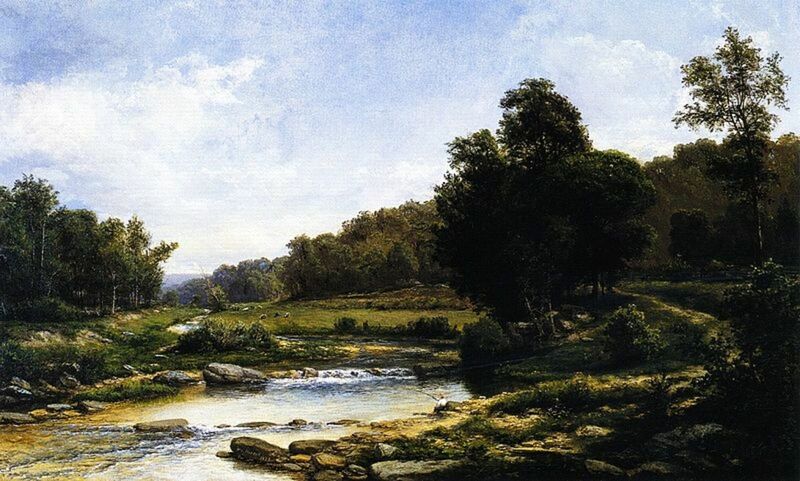 In literature it is the passage from reality to myth and back again. If your dream contains strong water imagery you are likely either going through a change, anticipating one or have recently experienced it. 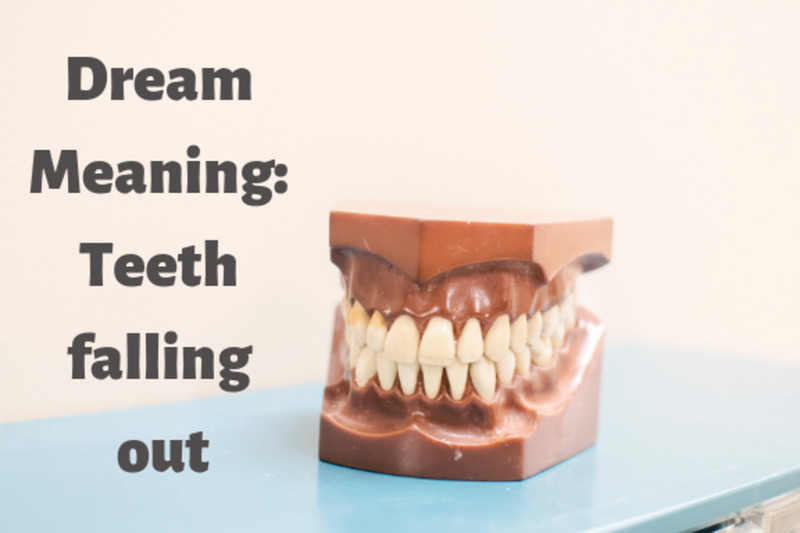 If the dream also features drowning or feelings of suffocation, you may likely be afraid of the change or the change may not be one that you feel is good for you or your family. Also note where the water is and whether it is rough or smooth. This will help you to understand how you are dealing with the transitions and changes in your life. 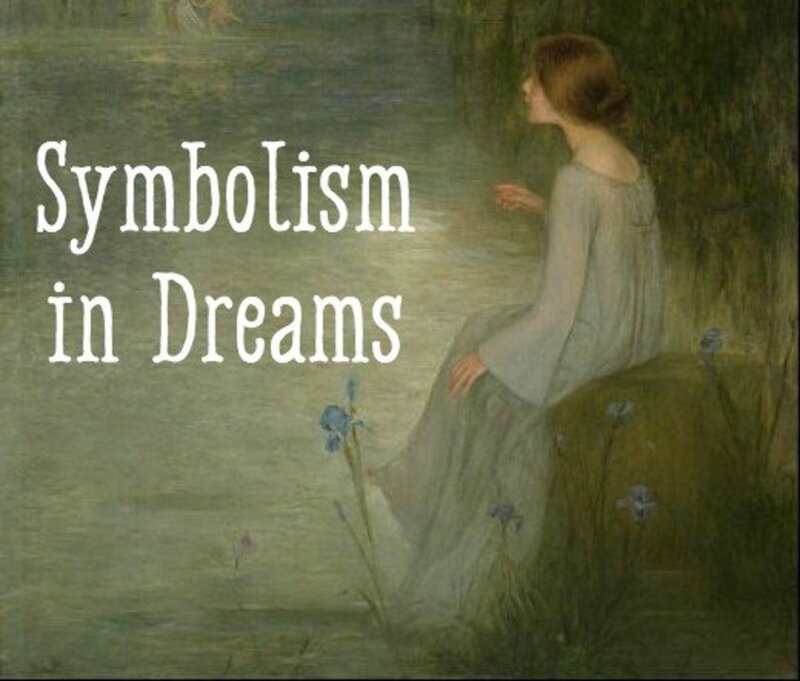 Do you have dreams that you feel are symbolic? Yes I have dreams involving symbols but they are happy. Yes, I have dreams involving symbols but they are sad. Yes, I have dreams involving symbols but they are scary. I have dreams involving symbols that can be happy, sad or scary. Many of us have had dreams that we are falling and sometimes the dreamer even wakes up, startled, as they hit the bottom in their dream. If dreams of falling are occurring often in your dreams it may be a sign that you feel you have or are going to lose control of something. According to the dream dictionary, in order to combat these insecurities, you should make sure that you figure out what parts of your life you feel are out of control and try to find solutions or pinpoint why you are feeling that way. If you dream about you or someone you know dying it may be as simple as either a fear of dying or a wish that someone would go away and leave you alone. It can also, again, represent insecurities and fears that are personal or projected on others. Dreaming of people that have died may indicate that you are going through the grieving process, that you are trying to keep the person alive in your memory or that you feel you have some unfinished business with the person that died. 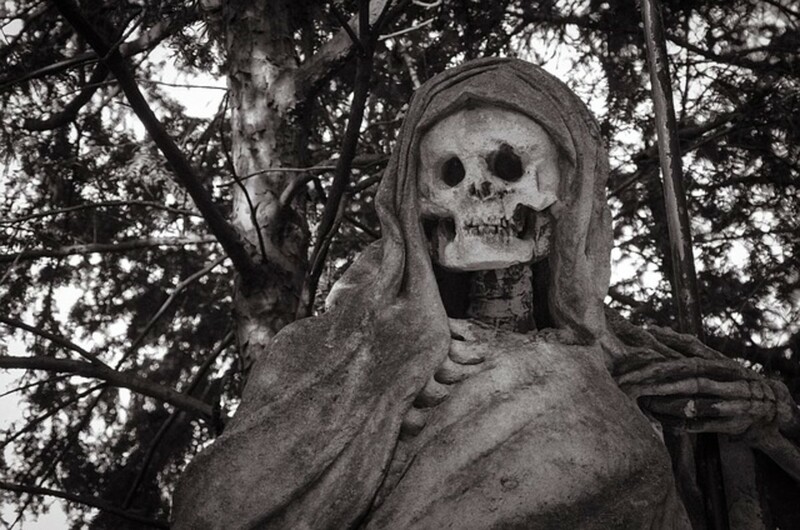 Some even believe that their dead loved ones can speak to them through their dreams. Whether that is true or not, analyze what the message is. Is there something you need to do to feel better? Are you facing a fear that is worrying you on a deep and subconscious level? Death dreams can be the most disturbing and troubling but the messages you are receiving from those dreams may not be all bad. Can Your Dreams Give You Answers? Even bad dreams or reoccurring dreams can give you answers to problems you are facing in your lift. 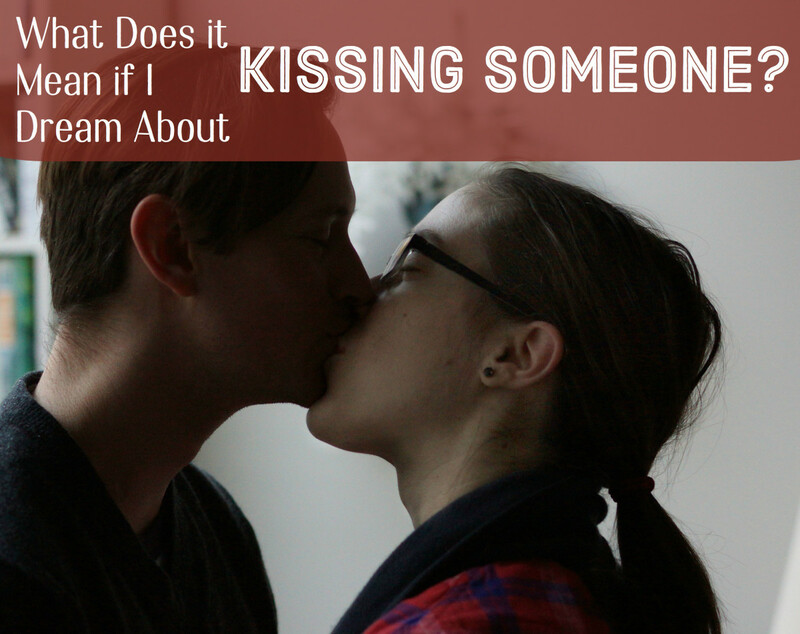 If someone is appearing in your dreams that you know, figure out what they are doing or why. If they are being mean to you in your dream or trying to hurt you, ask yourself if the person is also hurting you in real life. If they are not mean in real life, perhaps you have trust issues developing in the relationship. Our brains, spirits and subconsciousness try to speak to us in symbols and themes. While it may be hard to always know exactly what your dreams are trying to say, examining the good and the bad in your life and pinpointing what causes you stress may be the key to making you happier both when you are awake and asleep. Some believe that you can take charge of your dreams and even alter ones that are recurring and troubling. Dreamers can learn to be semi-aware in their dreams and purposefully make different choices and choose different dreams. Understanding what your dreams are telling you and what patterns exist may help you to fix either the real world problems or to work on changing the dream itself. If you have a problems that you are avoiding in your life, now is the time to make a change. If you begin to solve the problems in your real life, you are less likely to have stressful dreams at night. If you are able to change what you do in your dream such as tell yourself "when I'm falling, instead of landing I will grow wings and fly" may allow you to begin to control bad dreams and help you get out of stressful ones. More confidence in your dream world may result in more confidence in your real life as well. Some dreams are scary and some make us feel happy and at peace. The types of dreams that people often want to understand and interpret are usually caused by fears and stress. 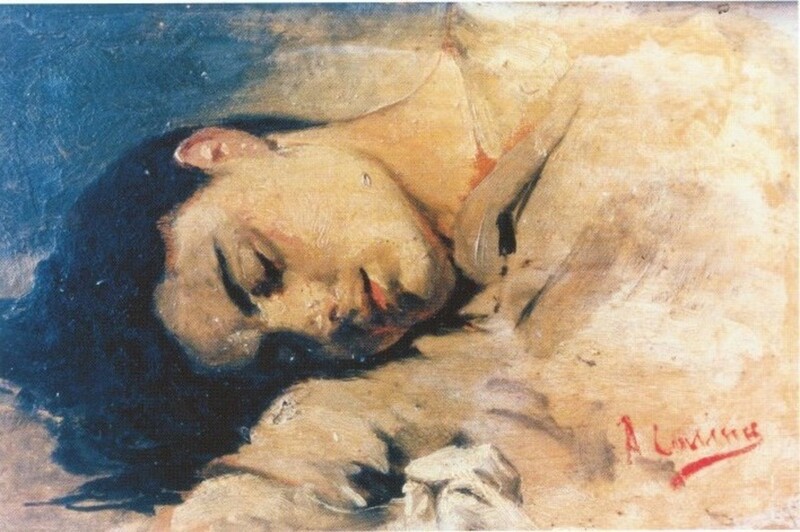 While it is not possible to completely get rid of stress in your life, reducing the stress and working on calming techniques may make your dreams more pleasant and understandable. Do you have vivid or disturbing dreams often? Yes, I have disturbing dreams regularly. No, I do not have disturbing dreams regularly. Yes, I have vivid dreams regularly but they are not scary or bad. I rarely remember my dreams when I wake up. What does being the only survivor in a dream mean? Do you have a fear of being alone or being left alone? That could be it. 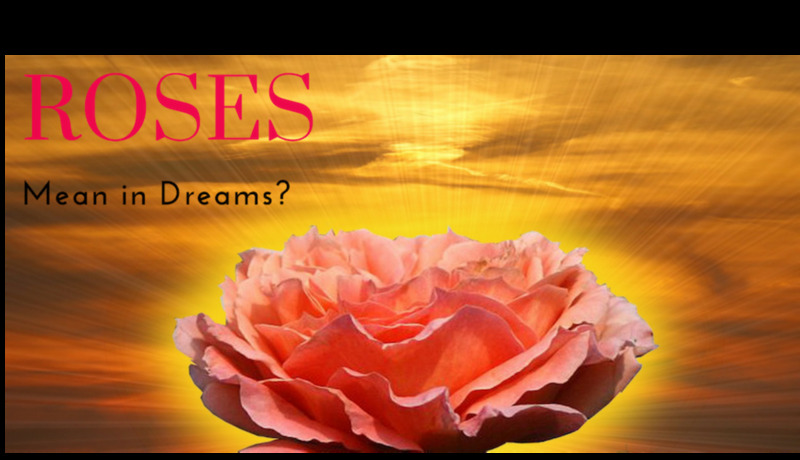 What Do Roses Mean in Dreams? my daughter and I had a similar dream on the same night. There was someone trying to get into our home and my husband went outside to try and find them. In my dream I couldn't remember my address when I called 911 and I saw and heard the bad guy shoot my dog. What does this mean? I have always had crazy, extremely vivid dreams. I suffer from depression and I've read that people that are depressed tend to spend too much time in REM sleep, so maybe that's way. Since I was about 10 years old I've always had dreams about tornadoes. I have no idea why. I've never even been near one in real life. I wonder what that symbol is trying to tell me? A few days ago there was a tornado in my dream and I became lucid and realized I was dreaming. Usually if that happens I wake up right away but once I realized it was a dream I was like "Neat, I'm going to stick around and watch this" but eventually I still got way too scared and kept telling myself "open your eyes, open your eyes" and I woke up. It was still a pretty cool experience though. I hardly ever become lucid. I am the same way although I find if I don't write them down immediately when I wake up, I can't remember them even a few minutes later. Dreams can be very elusive. I dream every night. Sometimes they're nonsensical and sometimes they are so vivid and drawn out they give me reason for pause. It's those dreams I try to analyze so I can understand why I had them, what they mean, and how I can resolve what caused them.